As I get older, I care more and more about taking care of my skin. Thankfully, I've always had pretty healthy skin and haven't suffered from acne, only a few breakouts every now and then. But I never really cared for my skin the way I should have. I was the girl who never washed her face before bed, never used moisturizer or exfoliated, and just found whatever face wash was on sale when I needed something new. Now, I put in much more thought to my skincare routine and have been testing out a number of products lately. 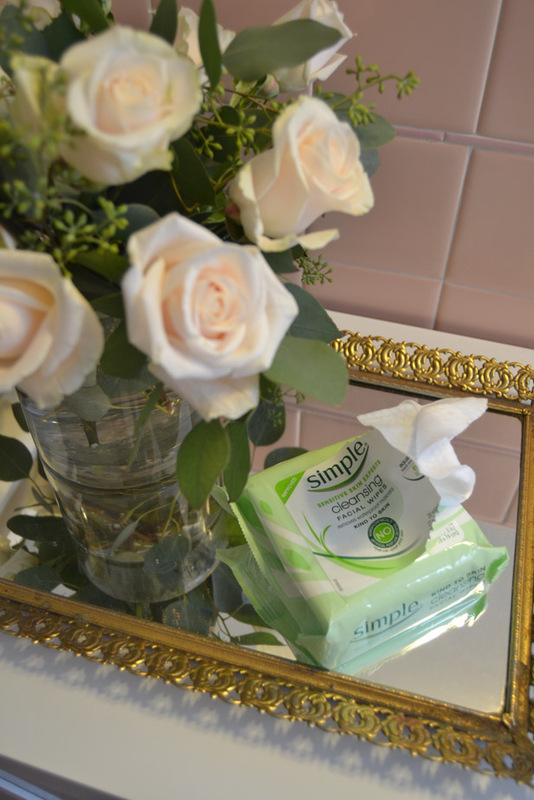 I'm always eager to try something new and I'm working towards finding the perfect combination of products for my skin. 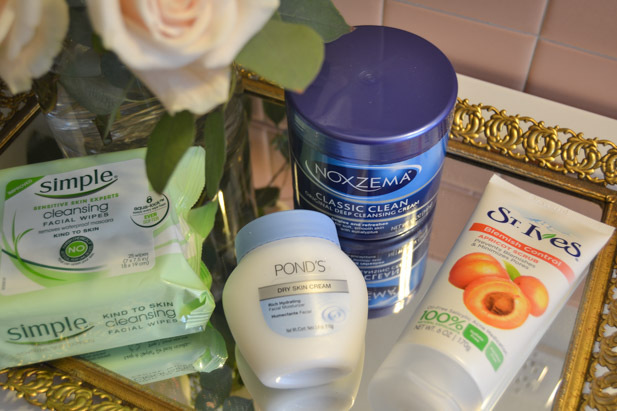 When I was asked to partner with Unilever Brands for this post, I was excited to try a few new to me products. I was pleasantly surprised with the quality of these products for such an affordable price. 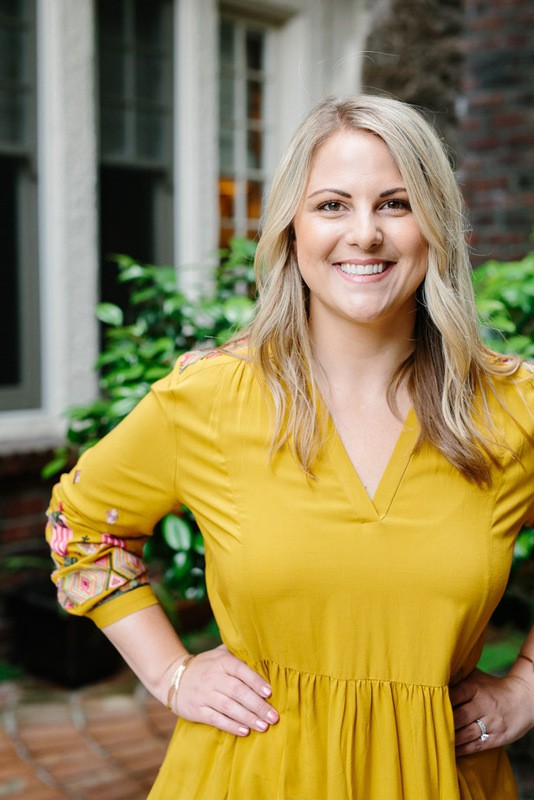 With social media and influencer marketing, sometimes I feel like I need to spend hundreds of dollars to get results, but thankfully that isn't the case! There are plenty of products available that are affordable and work. 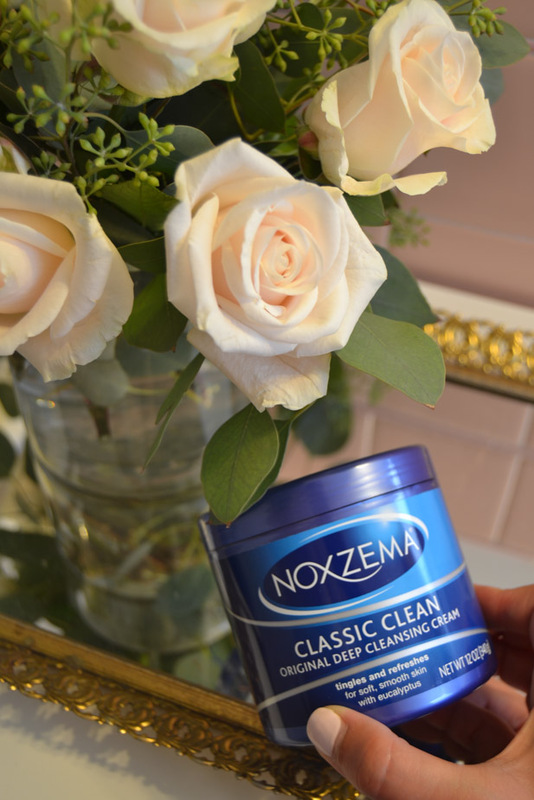 I remember my sister always used Noxzema® Classic Clean Original Deep Cleansing Cream growing up. So I was excited to try it out again. It really does leave you feeling clean and fresh. I like to use it in the morning only, so it's not too drying to my skin. And it smells really good, like eucalyptus. I also have realized that I should start exfoliating a couple times a week, but I didn't want anything too harsh. This is another product I remember steeling from my sister growing up, and I think she still uses it. 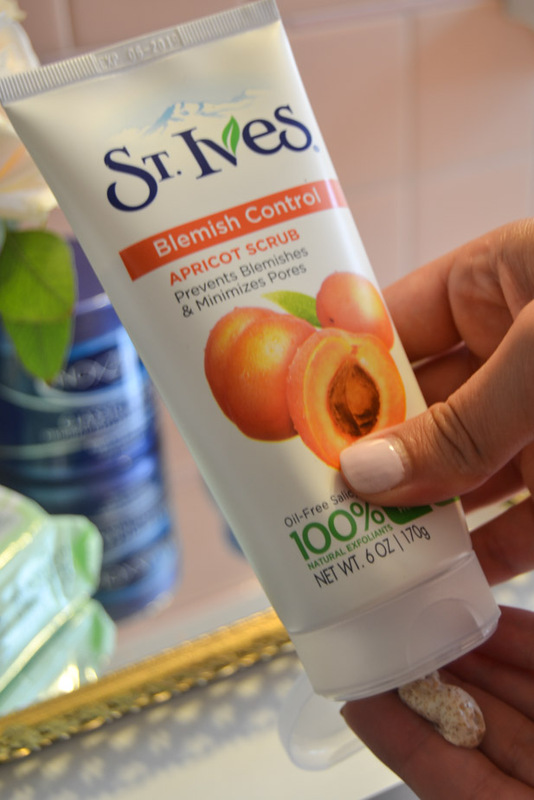 I really liked the St. Ives® Fresh Skin Apricot Scrub, it leaves your face feeling refreshed. However, I don't plan to use it more than once or maybe twice a week because it seems like a deep exfoliant and I don't want to over do it. After washing my face at night, one thing I have become religious about is applying a moisturizer before bed. I've noticed when the seasons change, my skin tends to get a bit dry, so it's especially important. 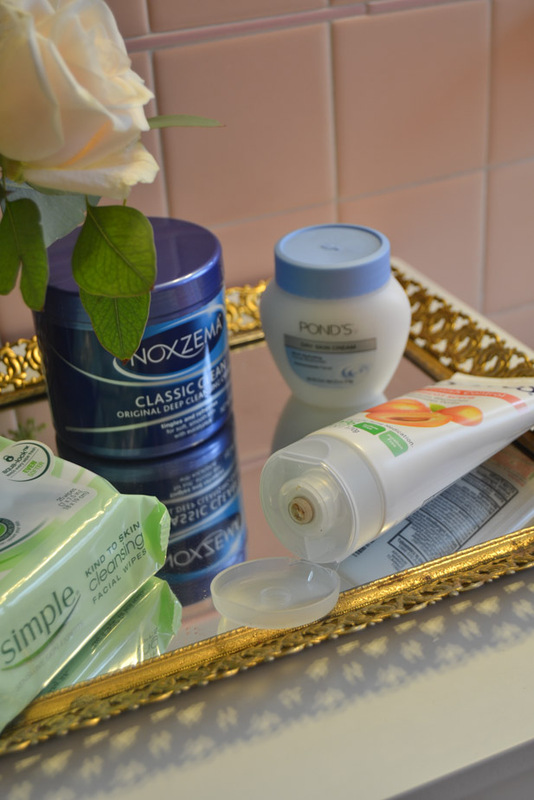 And this PONDS® Dry Skin Cream has been surprisingly great. I actually asked my aunt a few months ago, what her secret to healthy and glowing skin was at her age. She told me, "you don't need to spend a bunch of money. Just got to the drugstore and buy Ponds cream." 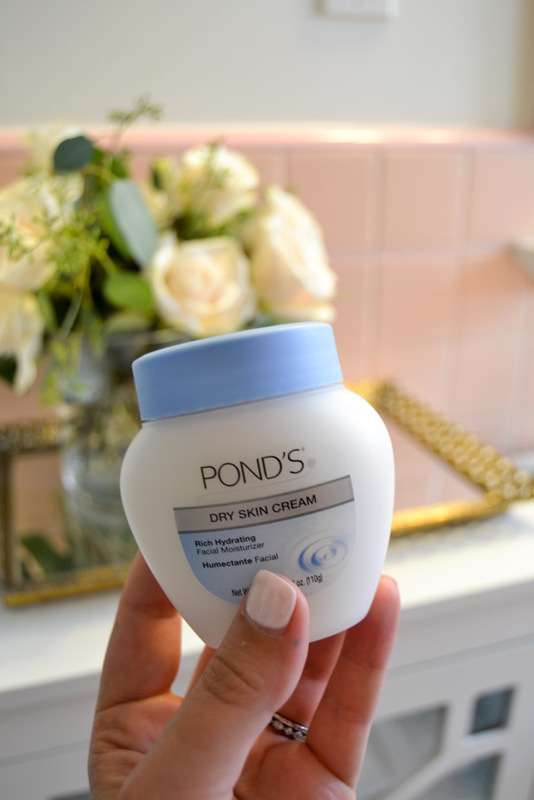 Well, it took me a few months to take her advice but I finally have my Ponds cream. And I can tell you, if it helps my skin look like hers in 40 years, I'm all over it! 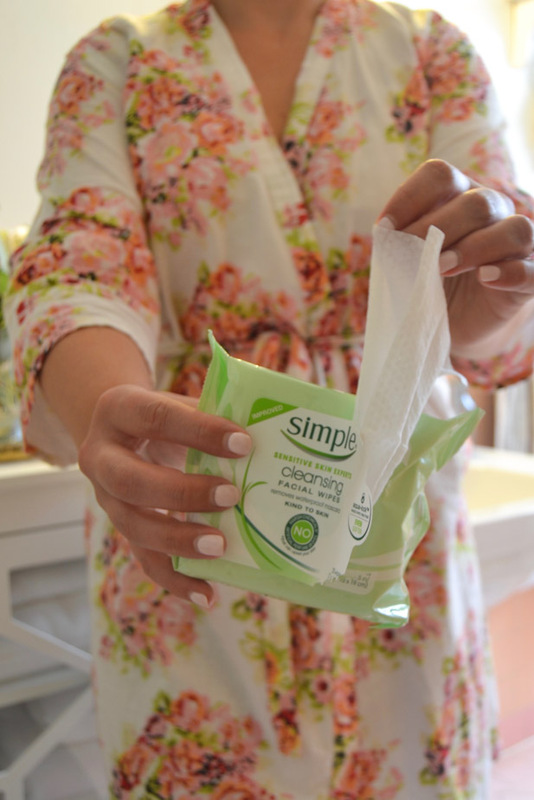 These Simple® Cleansing Facial Wipes are perfect for coming home after a workout when you don't have time to shower right away. Or sometimes when I get home after work, I just want to take my makeup off right away and these do the trick. They're also going to come in handy this weekend when we're camping at Lake Tahoe. It's nice to know there are still brands out there that care about producing quality products at an affordable cost. I'll definitely be rotating these four products into my skincare routine moving forward. They'll save me money that I can put towards other beauty treatments, like a facial or massage! If you're like me, and live somewhere that isn't close to a Walmart store, you can click here to buy online. The items will already be added to your cart, easy peasy. If you do try any of them, let me know what you think! 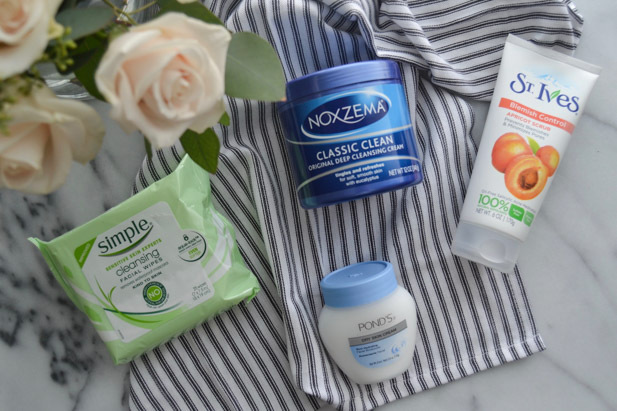 This was a sponsored post in partnership with Unilever Brands and as always, all opinions are 100% honest and my own. Thank you for supporting the brands that partner with From Foothills to Fog! 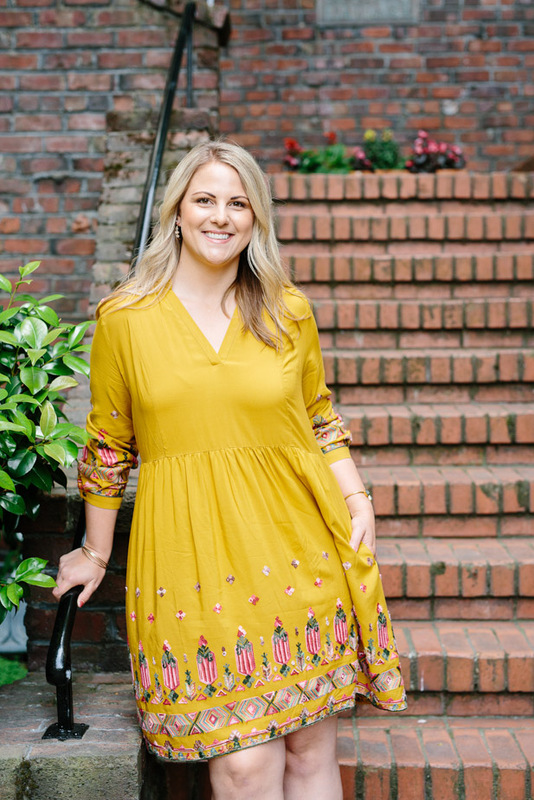 A few months ago when we went to San Diego for a friends wedding, I picked this cute embroidered dress up on sale at Anthropololgie. 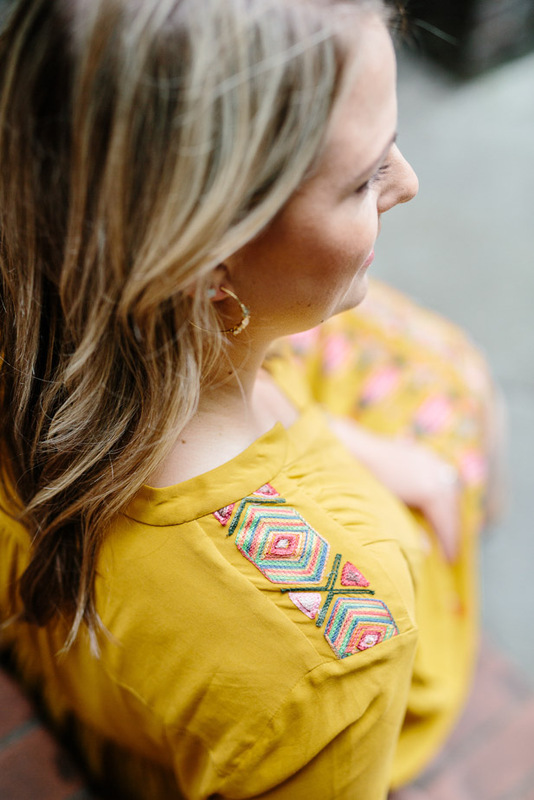 I love the mustard yellow and embroidered detail, it has a bit of a 70's feel which I love. In hindsight, I think I should have sized down at least one size because it fits quite large. But it's so comfortable, ideal for warm summer days. 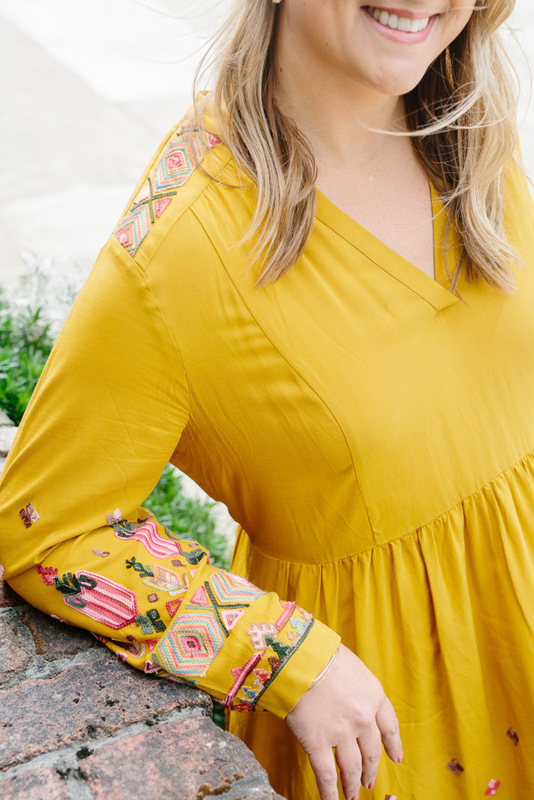 I wore it wine tasting and it was a perfect dress for an afternoon sipping wine with friends. Since I love the color and pattern, I'm thinking I might get it altered so it's more fitted in the waist. 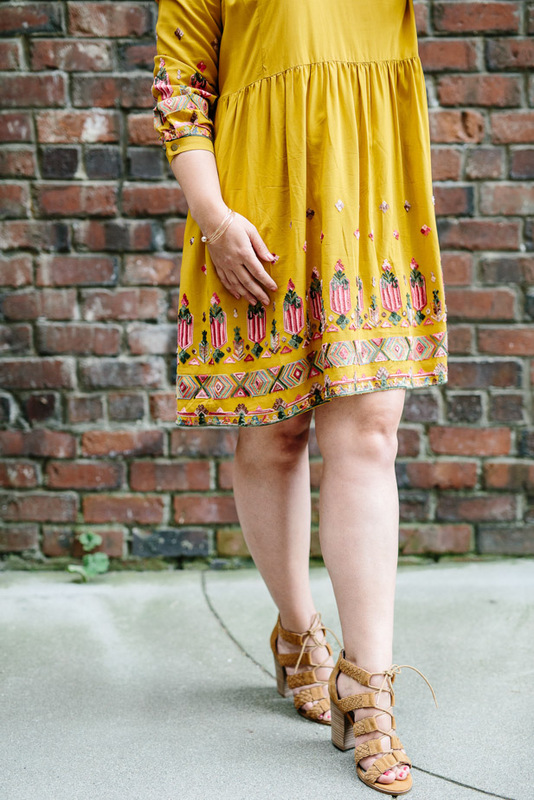 That way I can wear it this fall with booties! I've lost more weight since taking these photos, and now when I put it on I feel like I'm swimming in it. Have you ever bought something you loved, only to realize later it's the wrong size? I hate that! What are your weekend plans? 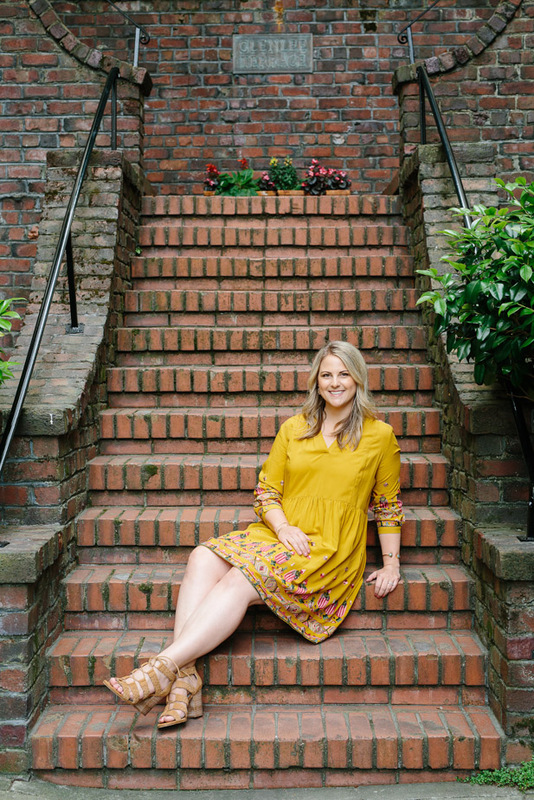 I'm excited because later this morning I'm heading up to Napa to spend the weekend celebrating my friends upcoming wedding! 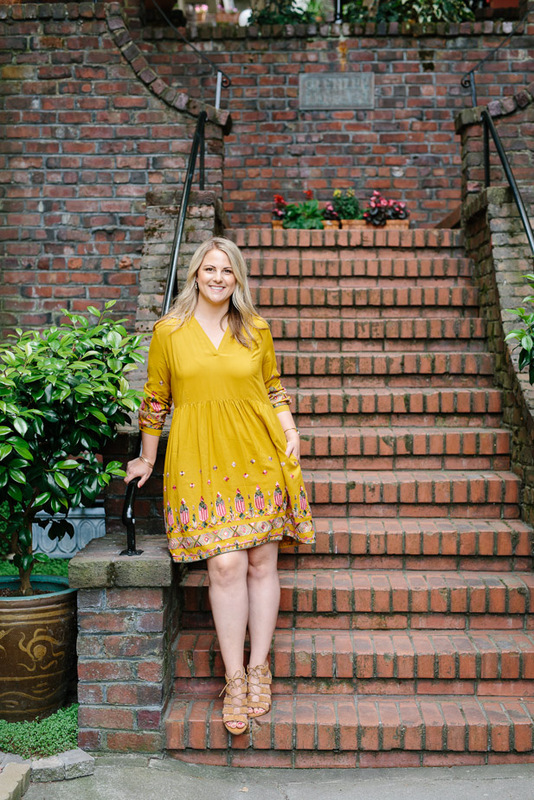 We have a fun Bachelorette weekend planned with a pool day, wine tasting and fun dinner out. 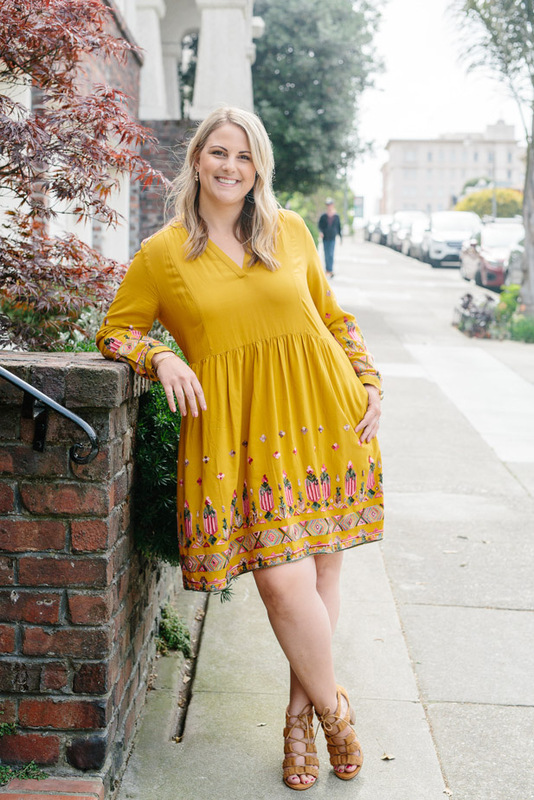 Although this exact dress is sold out, I link a few similar options below. Or you can find my exact dress in a few sizes on ebay!